Housed at UTM’s Institute for Management & Innovation, ICUBE helps local early-stage entrepreneurs transform their bright business ideas into viable products and services. Established in February 2015, ICUBE provides access to training, mentorship and a collaborative workspace. By offering these essential business development and commercialization services, ICUBE is fostering the next generation of startup creators while building a culture of innovation and entrepreneurship at UTM. “We help aspiring or new entrepreneurs move from the ideation phase right through to commercialization, and give them all the steps to identify and reach the right market,” says Donna Heslin, ICUBE co-operator and UTM’s director of graduate programs and external relations. 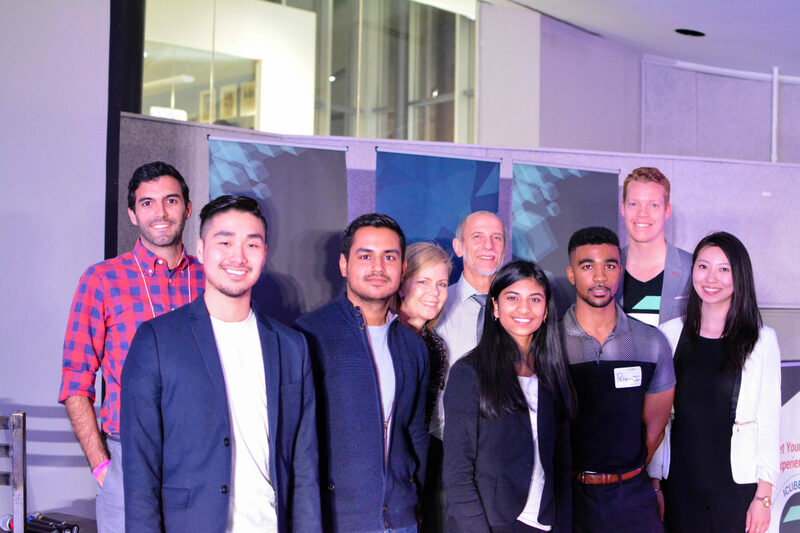 Each year, ICUBE accepts about a dozen startups run by UTM students, alumni or community members into its Innovation to Commercialization for Entrepreneurs (ICE) program. The three-month boot camp helps the entrepreneurs establish and validate their new business ideas by offering six workshops on topics such as researching target audiences, building a productive team, managing finances and pitching potential investors. ICE teams are mentored by successful entrepreneurs, receive a $1,000 capital injection, can engage in peer-to-peer networking with other ICE teams and can access business-building resources from the MaRS Discovery District. Participants can also join programs offered by other business incubators in U of T’s entrepreneurship ecosystem. ICUBE has helped Kevin Jakiela steer his small-scale urban-farming company in the right direction. 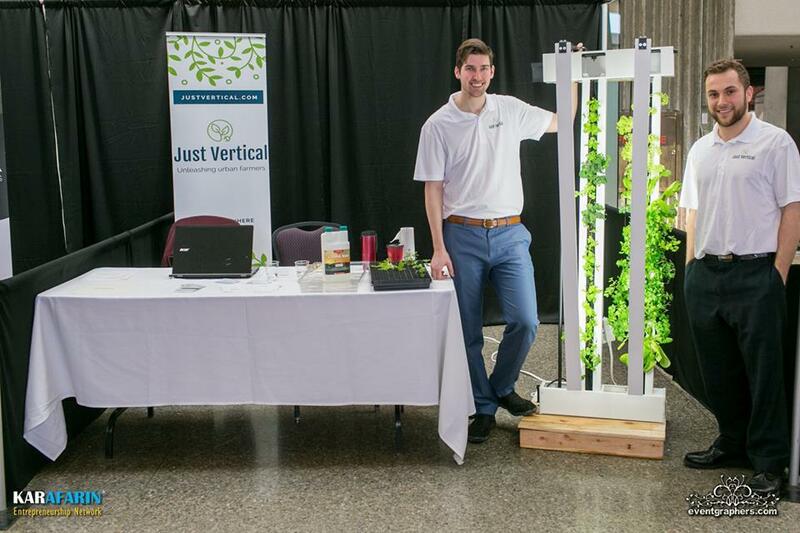 JUST VERTICAL allows for hydroponically growing fruits, vegetables and herbs indoors in an energy- and water-efficient way. You can purchase pesticide-free seedlings for, say, kale, strawberries or chard, insert them in the slots on a FarmWall—a specialized tower equipped with grow lights, nutrient solution and an irrigation system—and voilà, you have your own mini farm. Jakiela and his business partner, Conner Tidd, both graduates of UTM’s Master of Science in Sustainability Management program originally planned to promote their business to condo owners. But after completing a market segmentation exercise at ICUBE, they decided to target restaurants—accessing fresh food more easily and cheaply—and schools—educating students on growing plants. Another boost from ICUBE came this past spring, when Just Vertical won its business pitch competition, with a $7,000 cash prize. Recently, ICUBE helped Just Vertical join the Impact Centre, U of T’s development hub for early-stage natural sciences and engineering startups. Rayner Mendes and Grant Hu are preoccupied with another aspect of food: making it easier to cook for those with busy lifestyles. Mendes, a Western University business graduate, and Hu, a U of T computer science graduate, developed a sous-vide cooking device, called the NISE WAVE, that allows for automated cooking through a smartphone application. You place uncooked food like steak or chicken in a vacuum-sealed bag, put it in a pot of water with the Nise Wave device and one of the company’s seasoning packets, and use the app to cook it at your convenience. This means you could have poached eggs waiting for you in the morning or salmon ready for you after work. 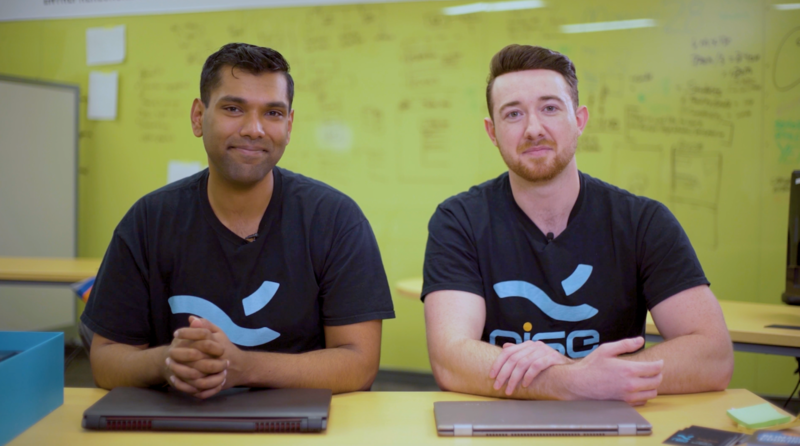 The pair has already attracted more than $300,000 in investment for the Nise Wave through crowdfunding, but wanted to pursue other finance sources. An ICUBE workshop on pitching and finding funding helped them identify potential venture capitalists and “angel groups” (affluent investors who pool their capital). Also critical, they say, has been the expert guidance and constant encouragement they’ve received from ICUBE program lead and accomplished entrepreneur Sam Dumcum. ICUBE helped them secure a spot at U of T’s ONRamp, its new state-of-the-art collaboration and community space for entrepreneurs. Education app company KWE TECH was too far in its development by the time it discovered ICUBE’s ICE program, but it was accepted as a resident team, which has provided access to office space, some training and mentorship, and the chance to network with and mentor other teams. Co-founder and CEO Ming Xia, a master of education graduate from U of T’s Ontario Institute for Studies in Education, says ICUBE has been an invaluable resource for their app, which lets parents see their children’s classwork, review school notices, pay for field trips, arrange playdates with classmates and more. ICUBE’s entrepreneur-in-residence, veteran businessman Vigen Nazarian, has been particularly helpful.